As a paddler and photographer, I live for beautiful sunrises out on the water. And once in a long, long while, the clouds align at sunrise and the sky just bursts into vivid colors of brilliant pink and orange. Friday was one such morning. As our group of paddlers with Sydney by Kayak pushed off the little beach on Lavender Bay towards the Harbor Bridge, we could see the Opera House catch the beginning rays of golden light. In mere moments, the colors spread to the rest of the landscape. 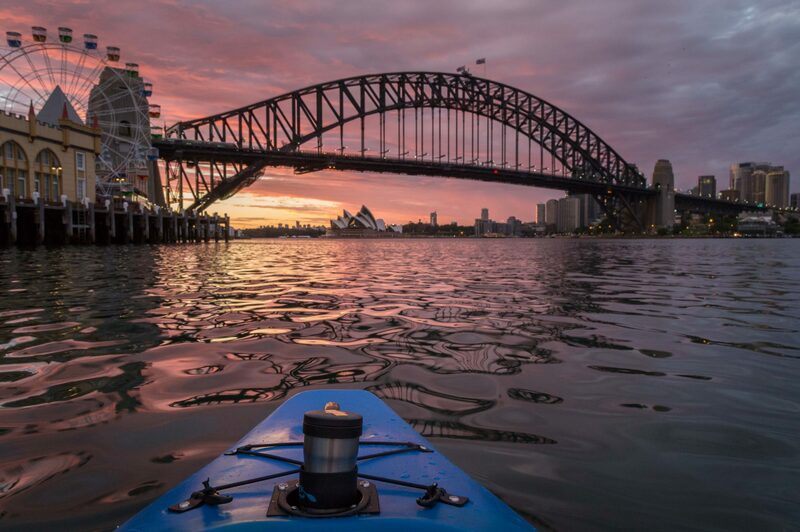 I was laughing in delight as I exhorted the kayakers to quickly take their positions in front of the opera house, because photographic gifts like that just have to be taken advantage of.